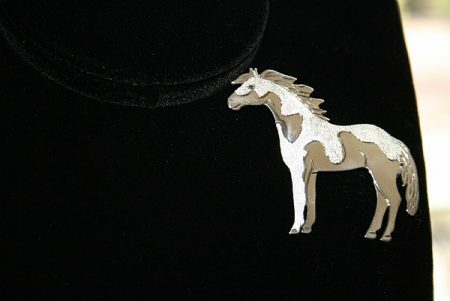 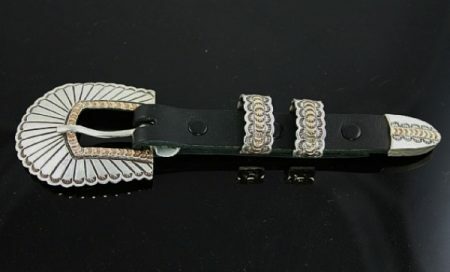 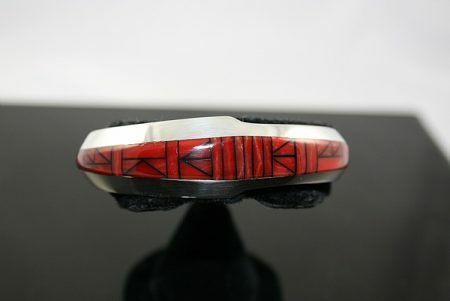 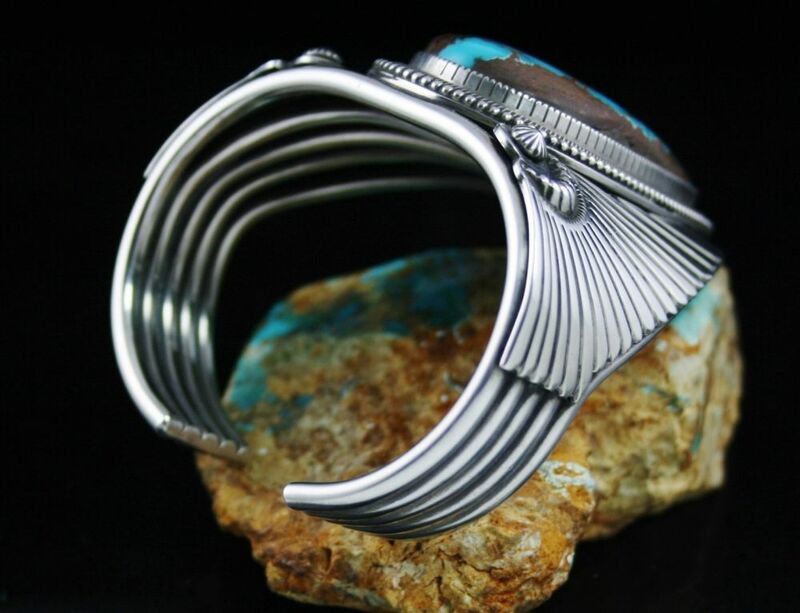 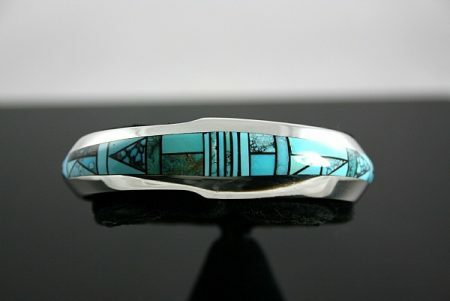 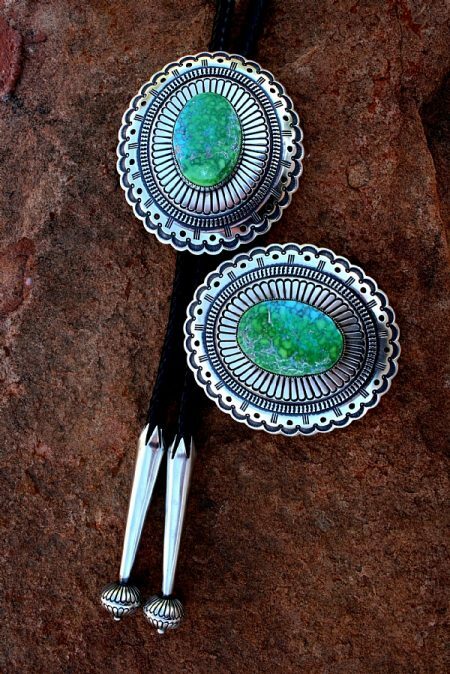 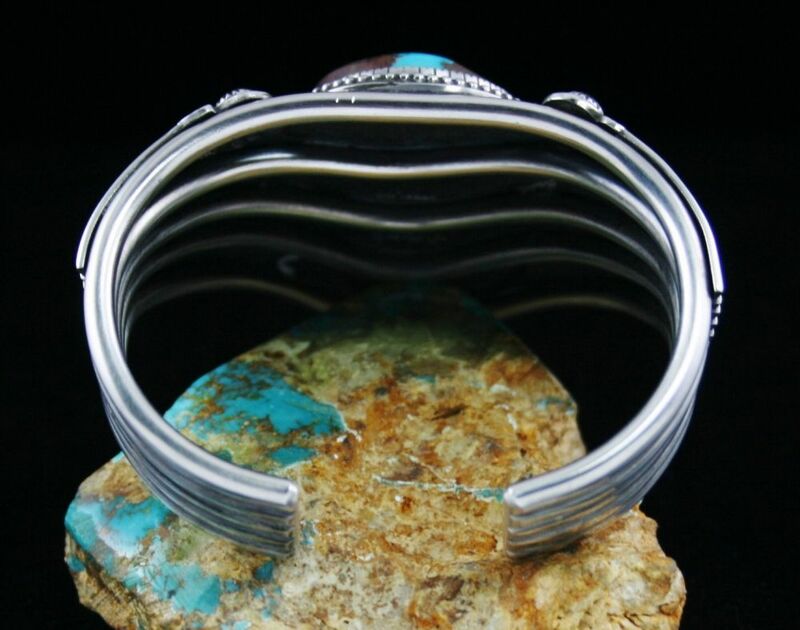 This amazing bracelet by Sammie Begay was made entirely out of ingot sterling silver that was melted, rolled and forged all by hand. 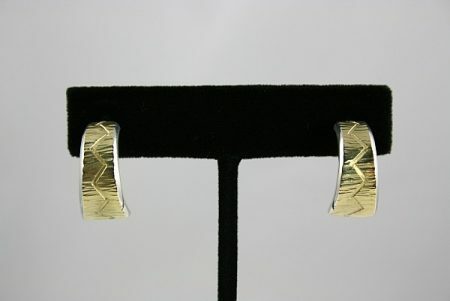 The wings were rolled and cut to shape then expertly stamped. 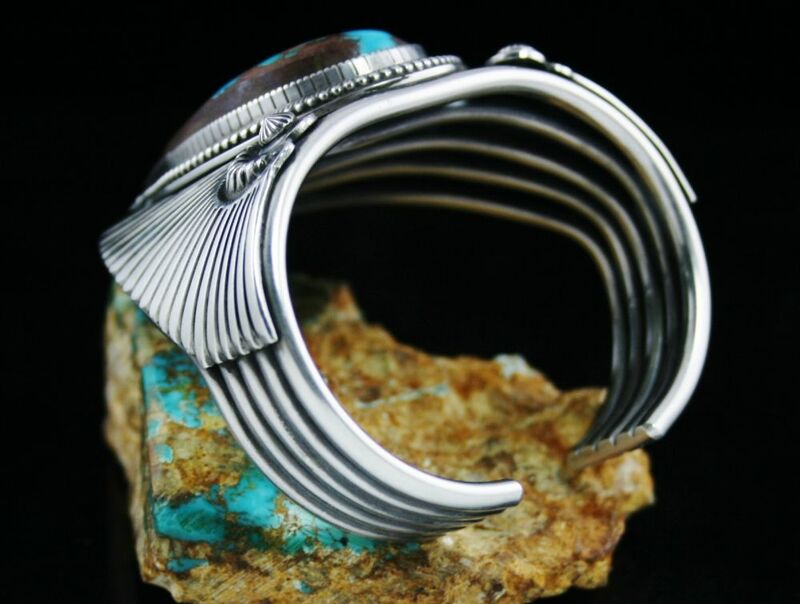 The heavy wires of the shank were pulled and soldered together. 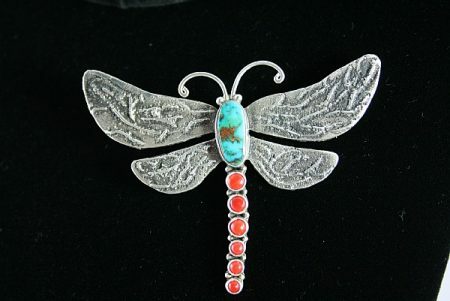 The design elements at the top of the wings were stamped with home made tools. 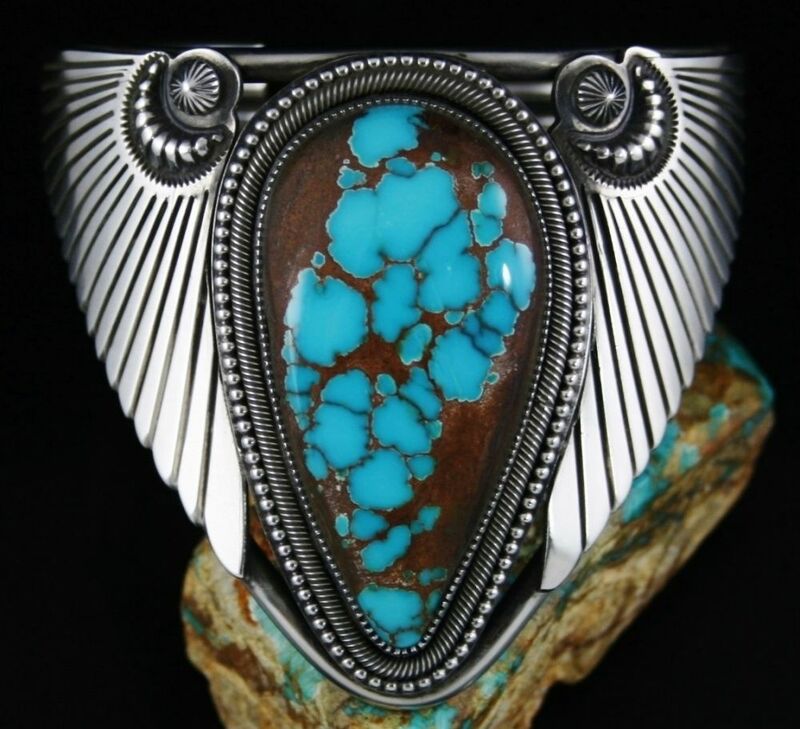 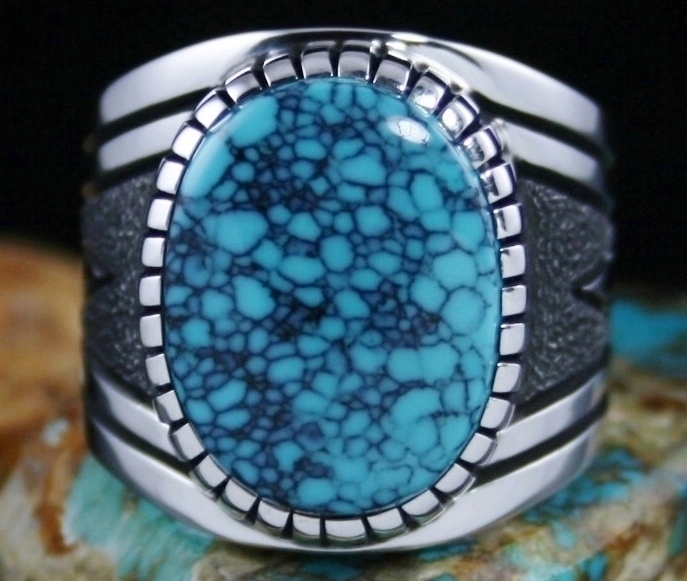 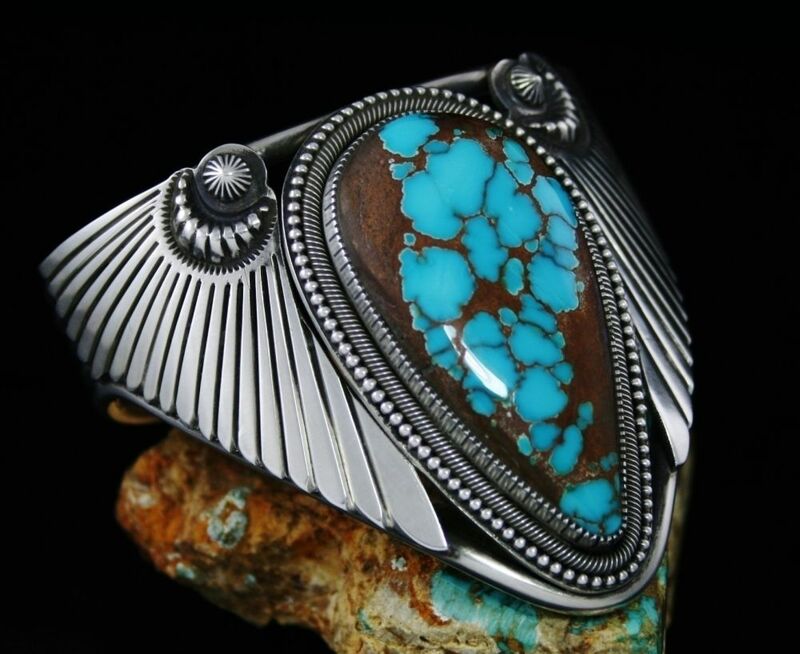 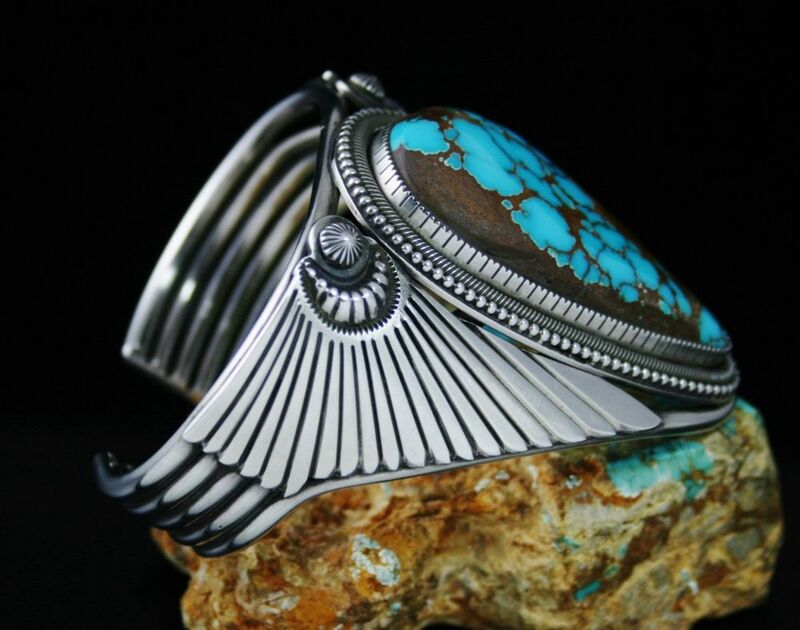 A superb large natural Brannon Blue turquoise of the finest gem grade was set in a beautiful hand made bezel then surrounded with twist wire. 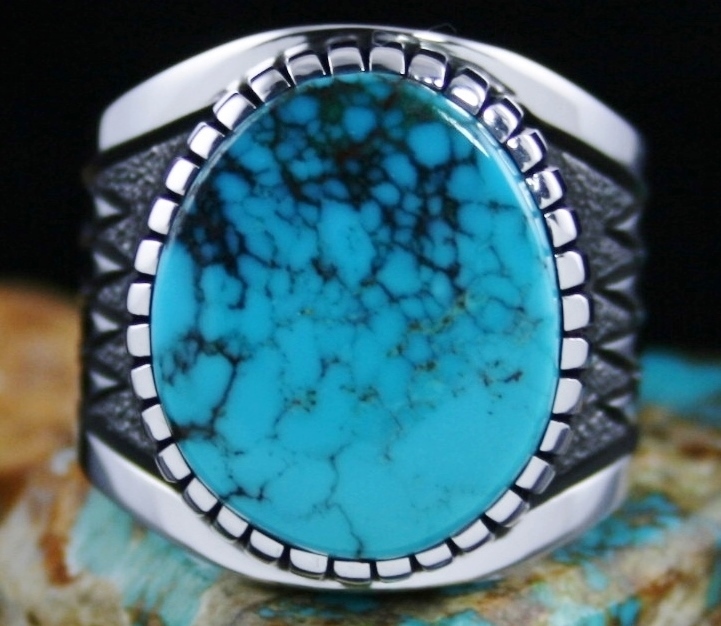 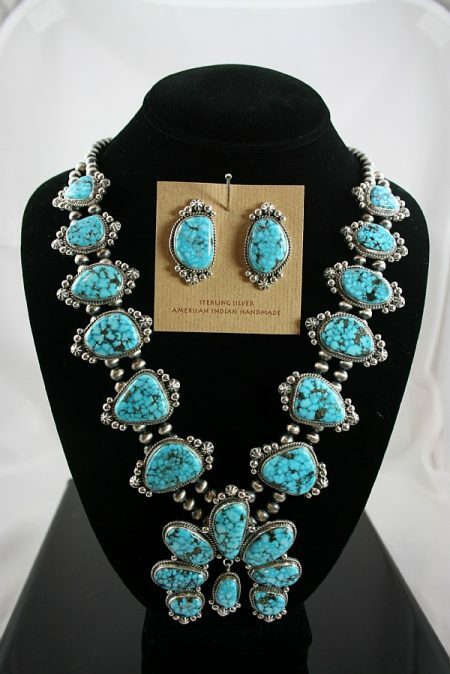 The amazing turquoise exhibits tremendous depth and is deep blue with intense dark reddish brown spiderweb matrix rivaling that of the finest quality of the Candelaria mine. 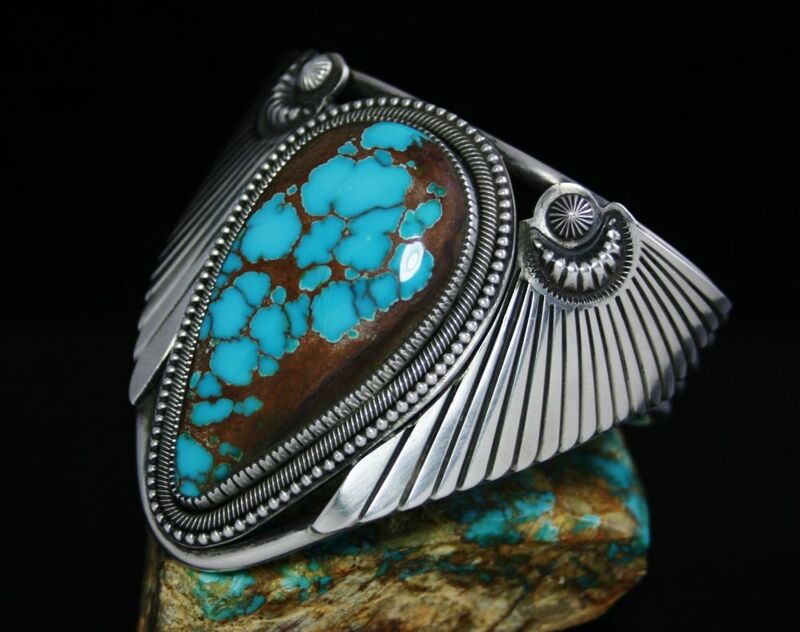 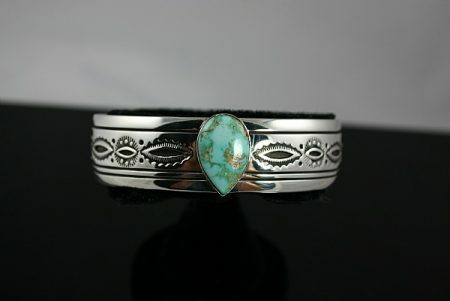 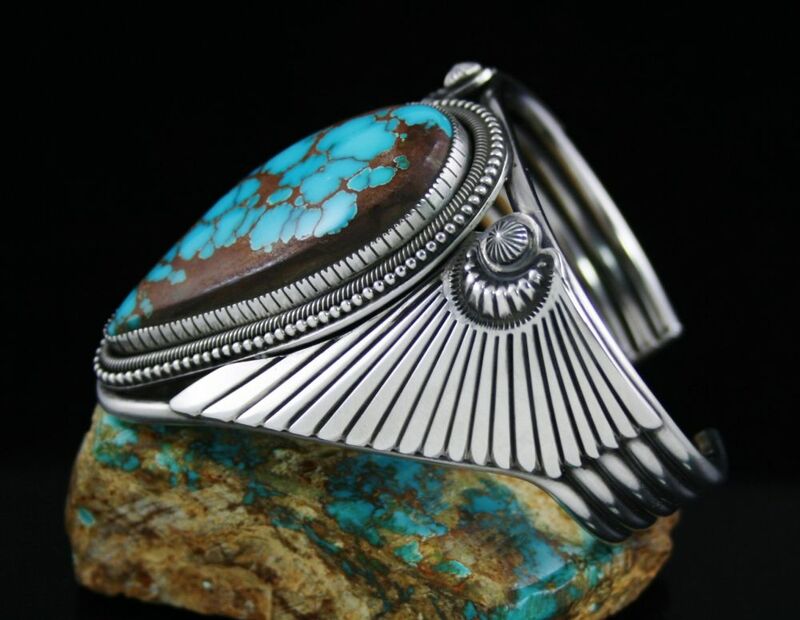 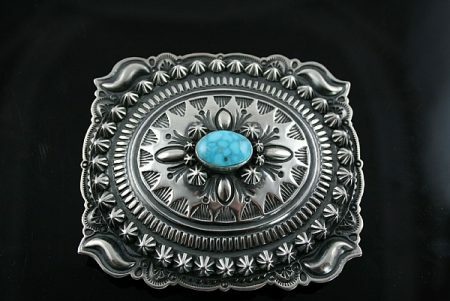 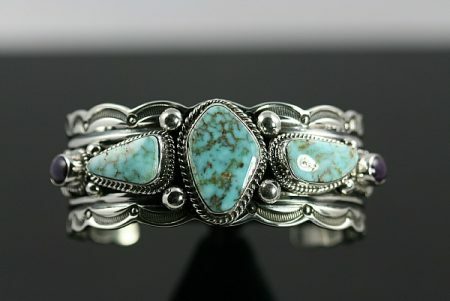 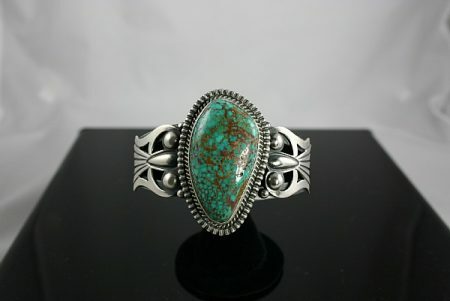 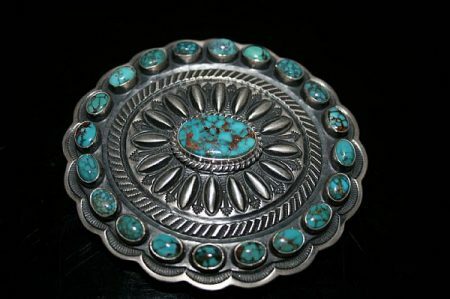 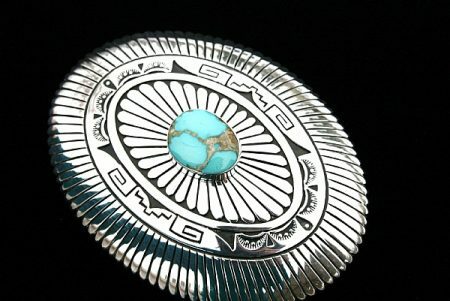 Turquoise of this size and grade is increasingly difficult to find on the marketplace today and coupled with Sammie’s exquisite silver work, the bracelet is a masterpiece.